Hi, My name is Carole. My boyfriend and I have 3 sons between us. Our eldest son was 17 when he was diagnosed with terminal brain cancer and was given 5 years to live. He has proven them wrong and is still alive at age 38 and has two young sons. Our second oldest is doing well for himself and is recently engaged. Our youngest son was diagnosed with terminal brain cancer about 2 1/2 years ago and has been given less than a year to live. He and his wife have 3 young children and he is the main income provider so this is scary for all of us. There is no blood relationship between our oldest and youngest sons which makes it even more cruel that this disease has hit us twice. My mother is a survivor of breast cancer, kidney cancer and unfortunately has just been diagnosed with pancreatic cancer. This terrible disease is destroying not only my family but my hopes and dreams for my sons and their families. I love all of my sons and my grandchildren and I find it hard to not be able to be of financial assistance to them or even help minding the children for my youngest son and his wife since they live on the other side of the country from me. arsongirl2002‍ I am so very sorry to here about your families battles with cancer, my heart truly goes out to you and your family. You say your eldest was 17 when diagnosed and he is now 38 so that is twenty one years, which is pretty good considering the five year diagnosis. So in your heart you know this can be beaten and if not held off for the foreseeable future. It must be extremely overwhelming for you and your whole family, but you have been through it before and I will be presumptuous and say it probably brought you all closer together, so just keep doing what you are doing and you will get through this again. I am so glad you came here for support because we can help, there are many good people on this site and you will soon see they understand and care. Please feel free to join the different discussion and let your story be known, I have no doubt you will be the strong, supportive, loving mother you have always been and get yourself and your family through this. Take care. Thank you WarriorPrincess. It is so hard to deal with anyone having cancer and what they have to go through but when the cancer is in their brain you don't even have the option of amputation or transplant. You also have to deal with changes to their personality that aren't always for the good. It can turn the most loving, kind person into someone you barely recognize. Their thought processes aren't always the most logical either and they can accuse people of things that either never happened or are explainable. 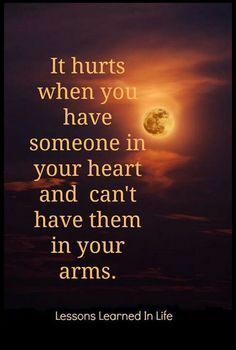 Families can be hard to get along with at the best of times but when they are put under extreme pressure and there is nothing you can do to help, it is soul crushing. Joe-Eddy - Thank you for your kind words. Unfortunately, brain cancer can change peoples personalities and it has caused a terrible rift in the relationship with my youngest son. I want to be there for him, as moral support and as a loving mom, but he has said he wants nothing more to do with me and that is killing me. If it were a normal time I would say, give him time, he'll come around, but we don't know how much time we have. We may run out of time and things will be left like they are right now and I don't think I can face the rest of my life knowing that he passed away with us being apart. I can understand the concern that your son may pass away being estranged from you, but keep in mind that it may not be his fault, or yours. As you mention, brain cancer can affect a person's personality. You need to be forgiving about the situation and remind yourself that the things he may be saying and/or acting out is actually the influence of the cancer, and not of anything that he or you have done. I know it can be difficult understanding that sometimes, I was on the recieving end of some very bad behaviour by someone with a brain tumour a number of years ago. His hatred towards me was completely irrational and totally out of character. But it's just one of those things you need to try and let go of. Don't let it ruin your life as well. arsongirl2002‍ I am sorry to hear this about you and your son. I do know brain cancer can be devastating for the people involved because of the side effects of the disease. I had an Aunt who had it and this woman was a very religious stout Catholic who I never heard a bad word come out of her mouth until the last time I seen her near the end. Again I was being presumptuous and maybe hopeful that you were all stronger because of the other battles. Hopefully something will change and he will come around. If that does not happen do what you can to make it better, but do not blame yourself it really is not your fault or anybody's for that matter. This disease rips apart a lot of families in a lot of different ways and that is very unfortunate. I wish you and your family peace, love and understanding. Thanks again for your kind words. Cancer is a tough road for everyone it touches. I will keep being here for my son whether he wants to talk or not. I know I've tried my best so I'll have to console myself with that for now and pray that his disease allows him to realize that. I hope you also find strength in your life. arsongirl2002‍ My heart goes out to you. I truly hope that you and your son are able to connect again. Hi Carol- I wish that I could hug you. I know that the struggles that your family is dealing with are truly overwhelming. I would be overwhelmed for sure. Is there a way that you can seek some help in dealing with all of this so that your health isn't affected? They might even be able to make suggestions on how your son's family can also be helped, especially for your son's personality changes. This is such a wonderful place for support and suggestions so please feel free to cry here anytime. I'm sure that there will be a great big group hug waiting for you. So sorry to hear of the many ways cancer has affected your family. Good for you to reach out to this group for support. Do you have other extended family members that can be helpful too? Some health teams / doctor's offices have social workers that people can speak to as well that might be helpful. The brain is such a complicated organ and you're so right about it affecting personalities. Hard to not to take things personally but it sounds like you have reached out which is all that you can do. Sometimes putting our thoughts into words on paper helps - either as a letter you can send or email - or just for yourself to keep. Thank you so much everyone for your very kind words and ideas. I have started to see a social worker to try to get some help getting through all of this. I want to be strong for my sons and my mom, who is due to have surgery next week, but I know I need support in order to be able to do that. My heart hurts so much and I know that my son loves me but it sure does hurt for him to say and do some of the things he is doing. Just keep reminding yourself that it isn't your son saying and doing those things. It's the cancer in his brain. Princess Maura - I am so sorry that you and your family are going through the hell that cancer brings. Try your best to be there for each other and face it with love and strength. Life is too short to be cruel to each other when there are so many better choices. How are you doing -haven't heard from you in awhile? Thanks for thinking of me Lacey_adminCCS. My son and his entire family just came for a visit. It didn't turn out exactly as planned due to illness. My mom had to have surgery due to cancer reoccuring and it hasn't been an easy recovery for her. It was amazing though, in that after a long drawn out time of disagreement, all of a sudden reconciliation has happened. It is an amazing gift to have peace after such a long struggle. Nothing has changed in my sons prognosis medically but mentally I think he is in a much better place.